The home you want is waiting for you at The Grand Parkway Apartments. 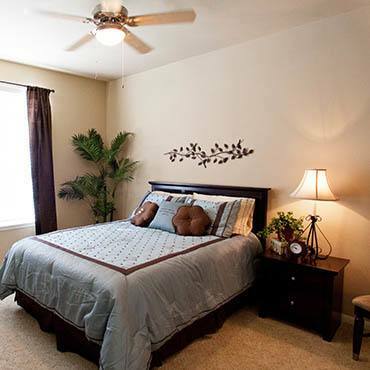 Our 55+ one and two bedroom apartments in Katy, Texas, are available in both apartment and cottage-style floor plans. Each home is thoughtfully crafted and expertly finished to provide the utmost comfort and style for members of our 55+ living community. Our chic one bedroom apartments for seniors 55 and over are perfect for singles and couples looking for a spacious, yet manageable home in a brilliant community setting. Those in need of a little more space will enjoy our two bedroom senior apartments, perfect for an in-home work space, craft studio, workout area, or guest room. All that’s left to do is choose your favorite floor plan. Schedule your personal tour today to for a first-hand viewing of your favorite floor plans.